When will be Sisters next episode air date? 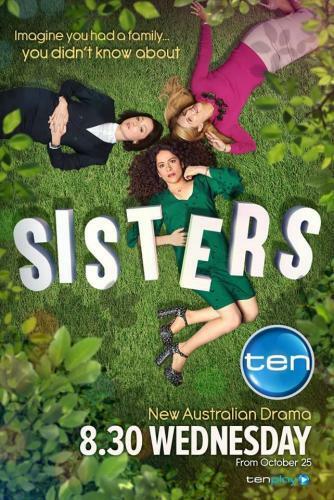 Is Sisters renewed or cancelled? Where to countdown Sisters air dates? Is Sisters worth watching? A contemporary, feel-good family drama from the makers of Offspring, Sisters asks the big questions: what makes you you; what is the difference between being related and being a family; and does it pay to have DNA tests before sleeping with someone? Exploring this fertile terrain is a superb cast that includes Barry Otto, Catherine McClements, Lucy Durack, Maria Angelico, Antonia Prebble, Remy Hii, Dan Spielman, Charlie Garber, Roy Billing, Zindzi Okenyo and the fabulous Magda Szubanski. A DNA test confirms that prison inmate Abraham is indeed a Bechly baby. When Julia takes Roxy to meet him, she is shocked to find Edie already there, attempting to recruit him for the class action. 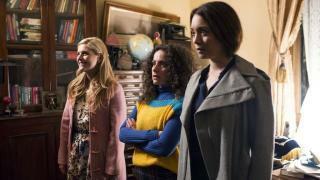 Sisters next episode air date provides TVMaze for you. EpisoDate.com is your TV show guide to Countdown Sisters Episode Air Dates and to stay in touch with Sisters next episode Air Date and your others favorite TV Shows. Add the shows you like to a "Watchlist" and let the site take it from there.